The househelp linked to a gruesome murder of a woman and her baby in Muhoroni, Kisumu County has been arrested in Uganda. Jacky Auma is said to have been arrested Sunday at Namayisi in Uganda after Kenyan police officers in Port Victoria, Busia County shared information about the suspect with their Ugandan counterparts. A senior police officer stationed at the Busia police station who sought anonymity until the suspect is handed over to Kenyan authorities said Ugandan police were processing documents of the suspect before she is extradited to the country to face murder charges. County police commander John Kamau said Monday that they are liaising with their counterparts to ensure Auma is brought to justice. 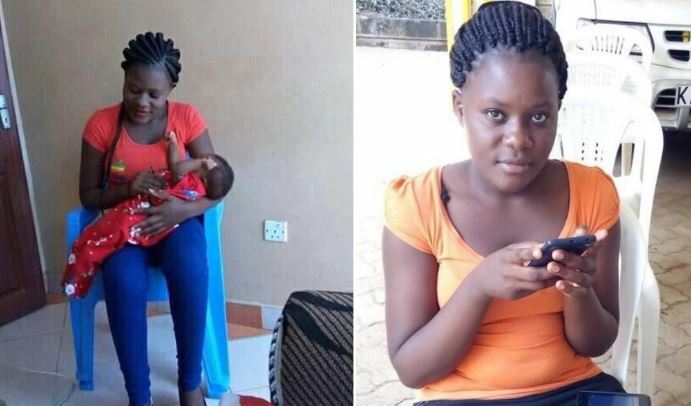 The suspect, a Ugandan national, was on the run after allegedly stabbing to death Elizabeth Achieng, 26, and strangling her three-month-old son. 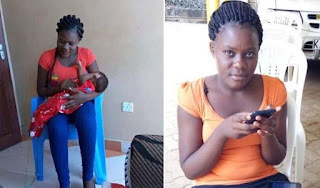 Auma is suspected to have strangled the infant to death before she wrestled her employer, strangled her, stabbed her multiple times and partially burnt her using an electric iron. Achieng’s body was found with several stab wounds on the chest and burns on the left side. The deceased’s husband, Evans Otieno, said an iron was found beside his wife’s body.